So when a longtime Donaldson coal mining customer in Charleston, West Virginia, claimed to have one of the longest-running engines in the industry – 51,000 hours of work without a rebuild or major repairs, the equivalent of almost six years of continuous work – we were amazed and proud to learn from the company’s maintenance manager that they attributed that longevity in large part to exclusively running their equipment with Donaldson filters. (This customer asked us not to use their name so as not to divulge any trade secrets – but they did want us to tell their story). According to the maintenance director at this mine site, a 4000 Series Detroit Diesel engine has seen nearly nine consecutive years of use in one Haul Truck with virtually no downtime other than scheduled maintenance. This has been a major advantage to their operation, where efficiency and reliability play such a vital role. Donaldson Blue™: The Star of this Story. While this coal producing customer uses a full range of Donaldson filters, the stars of this story are the Donaldson Blue™ extended-service air filters. 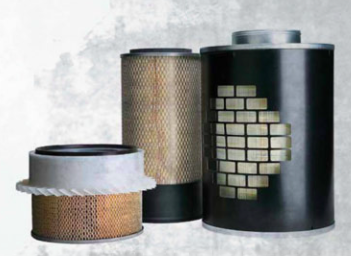 These filters, which include Donaldson’s exclusive Ultra-Web® nanofiber media, are designed specifically for extended filter maintenance programs and deliver better engine protection, minimized equipment downtime and reduced long-term operating costs for fleets. If this off-road equipment success story is any indication, Donaldson Blue filters do exactly what is intended, and then some. “In the ever-changing West Virginian environment, effective air filtration is a must,” says Joseph Serrenho, Donaldson Senior Territory Manager. “In dry conditions, the dirt and coal dust are ever-present. But even in wet or snowy conditions, the combined exhaust from the jobsite equipment blows down on the hard-packed roads and creates a dust mixture that can be deadly for engines.” This abrasive mixture can destroy an engine in a matter of hours if the air filter fails. According to this Donaldson customer, not one engine has been dusted in the 20 years the company has used Donaldson filters. In fact, it is believed that the 51,000-hour outlier is one of the longest-running engines in the industry. In addition to the use of high-quality Donaldson filtration products, a fully integrated maintenance program is also credited for the long life of the record breaker. But it’s not just a single engine that Donaldson and this mine’s maintenance team hang their hats on. The operation boasts four 4000 Series engines that have clocked well over 40,000 hours of use and a number of others that have already far exceeded 30,000 hours of service. Overall, the team maintains 90 percent availability in the fleet, an important benchmark in an industry where margins are tighter than ever before. Because those margins are razor-thin, this mine’s maintenance team finds that Donaldson Blue air filters also save when it comes to replacements. With standard cellulose air filters, a typical maintenance team would expect to swap out filters three to four times per year per vehicle. The efficient Donaldson Blue filters used on this customer’s haul trucks have lasted up to a full year, cutting maintenance downtime and filtration costs by up to 75 percent. “When our customer realized the value in using Donaldson Blue air filters in engines like the 4000 Series, they didn’t hesitate to make minor modification to a pair of excavators so they, too, could accept the latest Donaldson Blue filters,” said Serrenho. Donaldson is a leading worldwide provider of filtration systems that improve people’s lives, enhance our Customers’ equipment performance, and protect our environment. We are a technology-driven Company committed to satisfying our Customers’ needs for filtration solutions through innovative research and development, application expertise, and global presence. Our over 12,200 employees contribute to the Company’s success by supporting our Customers at our more than 140 sales, manufacturing, and distribution locations around the world. Heavy Duty Filtration, WIX® Filters - Authorized dealer for Middle east region (UAE). With a history steeped in heavy duty filtration, WIX® Filters knows that filtration has always been a critical consideration that can significantly impact the long-term profitability of an entire fleet. That fact holds even more relevance today, as fuel prices and vehicle maintenance take more and more of every fleet’s operating budget. WIX Filters has never forgotten that its roots were founded in the heavy duty industry. That’s why WIX heavy duty filters can stand up to whatever the industry demands. Testing and benchmarking continues to prove this. WIX’s heavy duty filtration engineers have over 125 years of combined experience and dozens of U.S. patents. It’s no wonder WIX is the global leader in heavy duty filtration. What do you get out of our 70-plus years of experience in heavy duty filtration? You get features and benefits in heavy duty air filters like silicone sealing gaskets, media that is 99.9% efficient, skip-a-pleat and hot melt media stabilization for better capacity, plus handles that make the technician’s job easier. You also get oil filters with patented Spin Flow® technology that help them work longer and fuel filters with QuickVent® water removal capabilities. 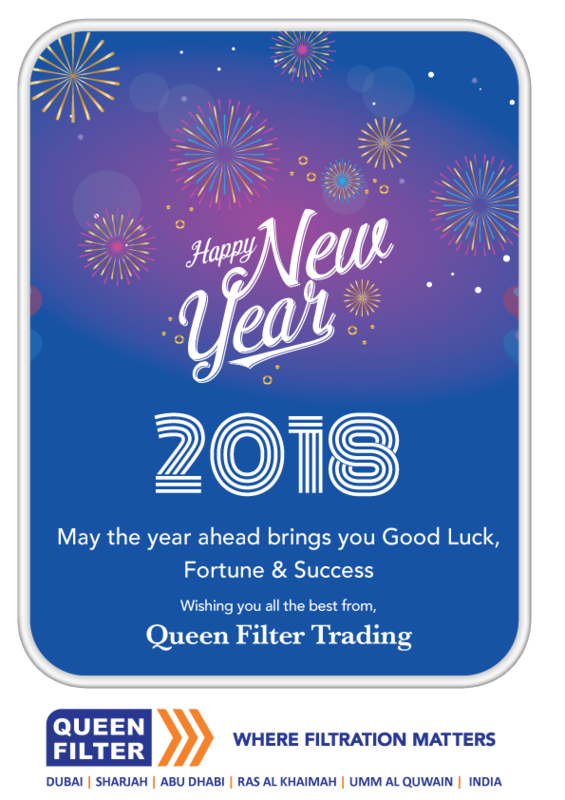 Why choose WIX heavy duty air filters over competitive filters? Because WIX has done its homework when it comes to air filtration. It takes only eight ounces of dirt to destroy a heavy duty engine. The typical off-road vehicle is exposed to 1 1/ 2 to 2 1/ 2 tons of airborne dirt each year, meaning first-rate air filtration is critical to the life of the engine. That’s why WIX heavy duty air filters are designed to take that protection to new levels. Pleating Processes: Arch-shaped pleats with skip-a-pleat or PowerTrap® embossing evenly distribute airflow over the entire surface area of the filter, while preventing pleat collapse that restricts airflow. This design feature is important because it improves filtration at high airflow rates and also improves the filter’s efficiency and dirt-holding capacity. Pleat Stabilization Beads: WIX uses hot melt or plastisol stabilization beads at optimal spacing on large heavy duty air filters to keep the media from fluttering or pleats collapsing, which diminish the capabilities of the air filter. Prescription Media: WIX heavy duty air filters use filter media that is 99.9% efficient and chosen specifically for each application to hold the maximum amount of dirt and provide the maximum length of service. Application-Specific End Caps: The end caps of our heavy duty air filters are chosen for the best performance for each application they are designed to protect. WIX has a history of improving on OE designs, and one example of that is the handle that we built into many of our radial seal air filters. We did this to make it easier for you to service the vehicle versus using the OE design with no handle. And it’s that kind of thinking we’ve put behind all our end cap elements, like ensuring exacting torque-load distribution on gasket seals, which enhances the filter ’s structural integrity. Sealing Gaskets: WIX knows leaking gaskets allow air to bypass the filter element altogether and that different applications call for different gasket materials. In fact, we again improved upon OE gaskets by introducing the silicone gasket several years ago. This silicone gasket is impervious to environmental conditions and seals by deflection not distortion, meaning it stays sealed under all temperatures and vibrations. WIX heavy duty air filter sealing gaskets are designed specifically for the environmental condition they will be exposed to and they are permanently bonded to the end cap to prevent leaks. Whether it’s a foam, silicone or radial seal gasket, you can rest assured it will protect the engine. 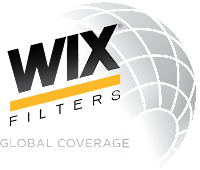 Media-Protecting Metal Shell: WIX uses a .028-inch-thick shell of expanded corrosion-resistant steel to give the filter element strength and to support the media pleats, protecting them from damage. Earth Moving Equipments & Oilfield Applications. OUR BRANDS - Mann, Wix, Donaldson, Ecoguard, Fleetguard, Filda, TG filter, Filtron, Stauff, Turbo precleaner, Filton, Perkins, volvo etc,.. Contaminated hydraulic fluid is the root cause of more than 70 percent of all hydraulic system failures. Inline hydraulic filters on new equipment should be replaced after the initial 10 hours of operation. Hydraulic fluid has a high level of contamination during its initial hours of operation due to impurities left in the system during the manufacturing process. In addition to contamination built in at the point of manufacture, other sources of hydraulic fluid contamination include: environmental contamination, system wear contamination and contamination introduced during hydraulic system maintenance. Even new hydraulic fluid has contamination level higher than most acceptable levels for vehicles and equipment. New hydraulic fluid should still be filtered prior to installation. When the hydraulic filter becomes dirty, pressure differential increases greatly, causing a bypass valve to allow fluid to pass around the hydraulic filter. The automatic transmission fluid filter may be the least changed filter on any vehicle. One of the reason for this is very few owners’ manuals list a replacement interval. Clogged transmission filters can lead to obstructed fluid flow, resulting in shift problems, slippage, engagement hesitation and other malfunctions. Good quality, clean transmission fluid transmits energy, cools and lubricants the moving parts of the transmission. There are three basic types of media used in transmission filters, paper, mesh screen and felt. The transmission filter is responsible for dirt and debris (usually from the wearing of clutch-plate linings) from harming the transmission. A clogged transmission filter may cause the transmission to slip only partially engage. 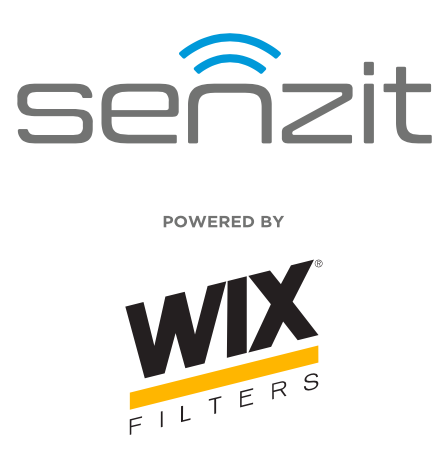 Get access to the condition of your air filter anytime, anywhere with Senzit. With a smartphone app, you can receive accurate data that will help you protect and maintain your equipment, saving you time and money. We wish that the New Year turns out to be a very special one for all of you filling each day with a peak of health, abundance of happiness and sunshine, luxury and prosperity.